Will PlayStation 4 Sales in China Help Sony Stock? Earlier this week, Sony Corp (NYSE:SNE) finally announced a firm date for the start of PlayStation 4 sales in mainland China. Originally, Sony planned to release the game console in early January, but the Chinese government — notoriously known for its formidable censorship — apparently insisted that SNE modify consoles sold in the country to prevent access to prohibited content. After lengthy negotiations, SNE has finally satisfied government regulators and set an initial launch date of March 20. This represents a major win not only for Chinese gaming enthusiasts, but Sony stock investors as well. Since 2000, game consoles had been banned in China, with government regulators citing concerns over their potentially negative impact on the mental health of children. However, in Jan. 2014 the ban was “temporarily” lifted, opening the door to foreign companies such as Sony, Microsoft Corporation (NASDAQ:MSFT), and Nintendo Co. (OTCMKTS:NTDOY) to sell their respective consoles. After inspection and approval by China’s State Council (read: removal of prohibited content and restriction of access to censored media), game console sales have been permitted within Shanghai’s free trade zone. It’s potentially problematic, however, that regulators refused to elaborate on some details of the temporary ban rescission, specifically how long the suspension is scheduled to last. Given the volatile nature of the relationship between China and the U.S., particularly with respect to technology, there’s always the chance that the State Council could reinstate the console ban and return China to its previously walled-off status. Provided there are no new corporate scandals or government whistleblower incidents, China could remain the gaming industry’s largest new battleground. But how big is the opportunity for Sony stock? 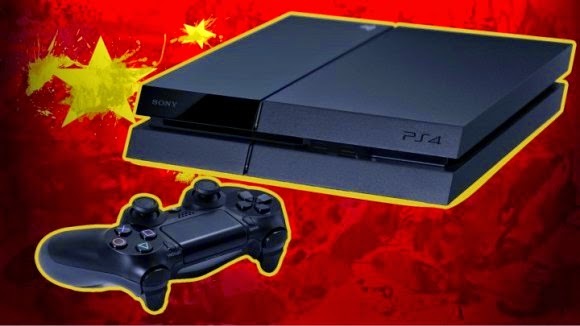 How Many PlayStation 4 Sales Might SNE See in China? Entering the Chinese market could produce massive profits for SNE. After all, the number of Chinese gamers is more than the entire population of the United States — there are 1.6 Chinese gamers for every American citizen. For console makers such as SNE and MSFT, China represents a huge untapped market. Microsoft was first to gain regulators’ approval for sale of its Xbox One console, which hit shelves in mainland China last September. However, in the six months since its initial debut, MSFT has only sold about 100,000 units. Worse, BesTV — Microsoft’s partner in China, responsible for Xbox One sales — reported losses of $2.75 million last year. Is the abysmal performance of the Xbox One in China attributable to a sub-standard game console? Could minuscule sales stem from the country’s mistrust of anything Microsoft? SNE management is hoping for a better reception. The Tokyo-based tech goliath posted its best quarterly profit in seven years last month, and hopes to further the gaming industry dominance established in the west by its PlayStation 4 console. Even with Chinese regulators’ seal of approval, the PlayStation 4 faces obstacles in China. More than a decade without foreign game consoles forced Chinese gamers to turn to PCs and mobile devices, where most of the popular games are free. Faced with the prospect of spending a hefty sum for a PlayStation 4, followed by further expenses for games, all but the most enthusiastic of gamers are likely to turn away. Further, the price of the PlayStation 4 is likely to be out of reach for the majority of Chinese consumers (70% of whom earn, on average, the equivalent of $634 per month). With the Chinese version of the PS4 priced at $468, SNE won’t be selling very many of them. Plus, with the average cost of new games being $60, even the select Chinese gamers who purchase a PlayStation 4 probably won’t be buying new games all that frequently. Suddenly, Chinese PS4 sales boosting Sony stock seems a lot less likely. Stiff competition from Microsoft could also negatively impact PlayStation 4 sales in mainland China. When MSFT learned of SNE’s plans to enter the Chinese market, management reduced the price of the Xbox One by more than $80 in an attempt to drive more sales before gamers got a look at the PS4. Considering the statistically insignificant sales figures thus far, it’s highly likely that MSFT will slash prices again when the PlayStation 4 hits shelves later this month. It’s unclear at this point how much money SNE has spent, and will continue to spend, making the PlayStation 4 game console available for purchase in China. One thing is for certain, however — Sony stock won’t benefit if PS4 sales numbers are as abysmal as those of Microsoft’s Xbox One. The superior hardware, gaming experience, game selection, or whatever else led more U.S. consumers to chose the PlayStation 4 over the Xbox One will most likely be irrelevant to Chinese gamers. The primary driving force behind sales in China will ultimately depend on the retail price of the units and their games. No matter how awesome a console’s graphics are, no matter how many game choices it has, the simple fact that buying one will cost almost 75% of the average monthly income will prevent SNE, MSFT, and every other foreign game console maker from turning a profit in China.